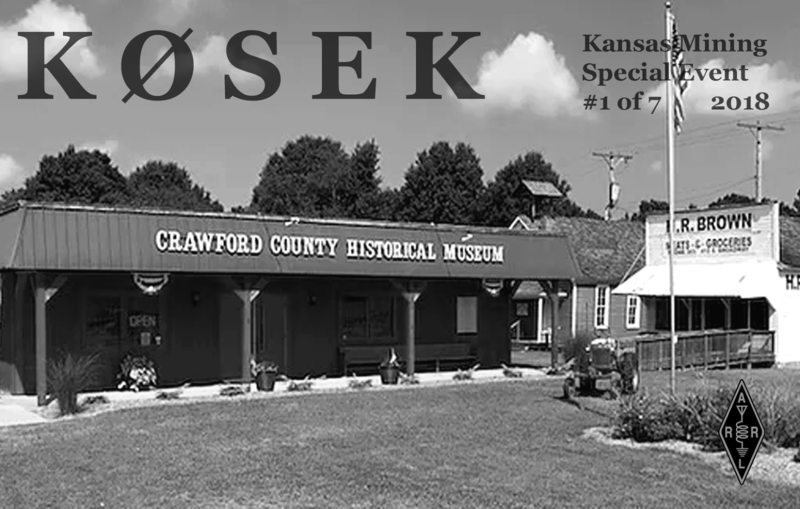 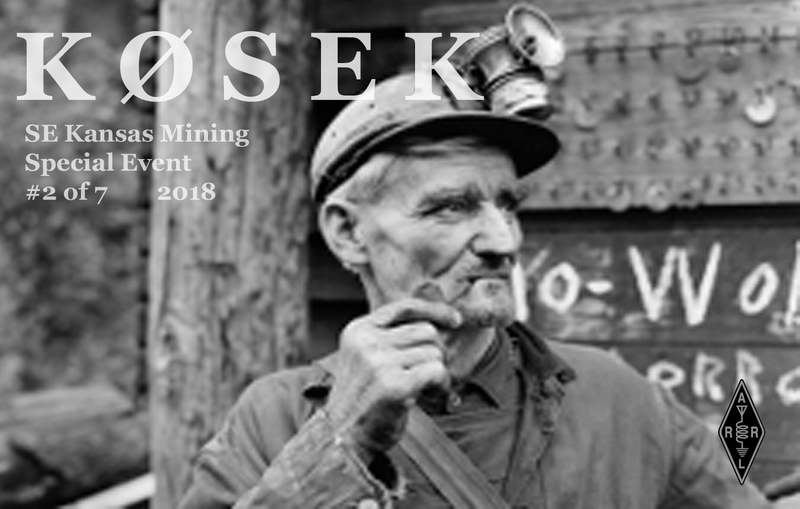 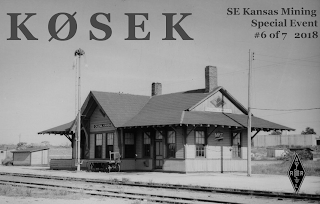 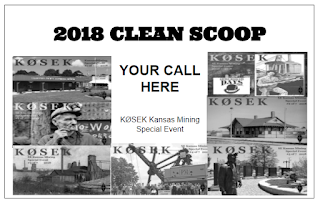 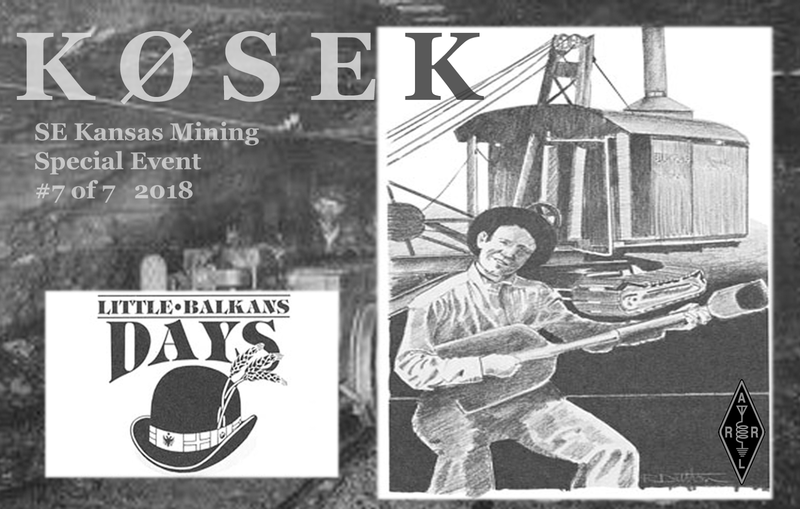 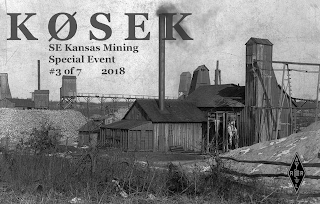 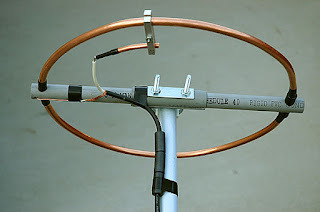 The Southeast Kansas Amateur Radio Club is operating a series of 7 Special Events in 2018 honoring the rich mining history in Southeast Kansas. 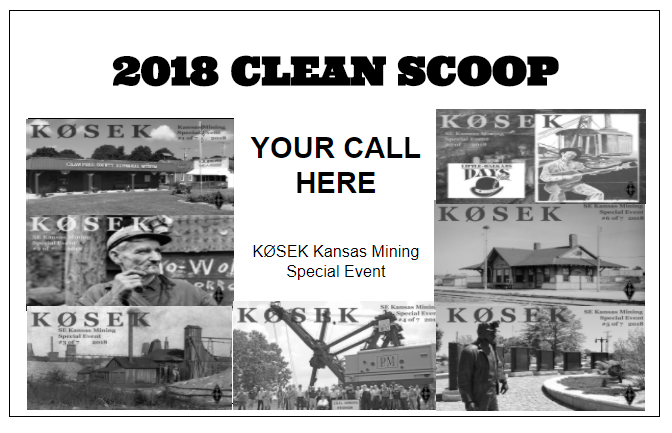 Please send SASE with your QSL and contact all 7 to get a special "Clean Scoop" Certificate. Have fun and thanks for visiting our site. 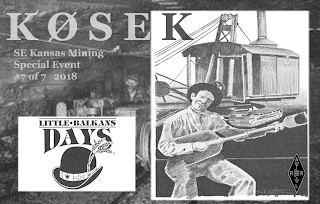 These European miners began to arrive in the 1870s. 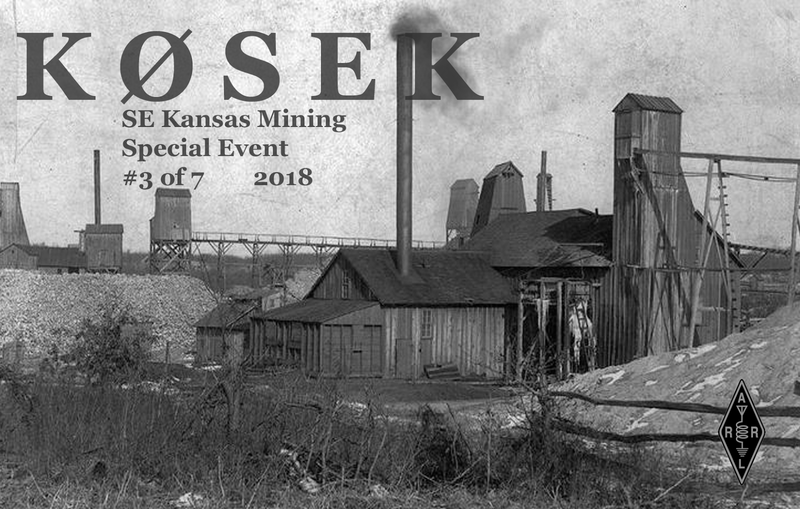 They learned that the red, rusty coal near the surface could be strip mined and was good for cooking and blacksmithing. 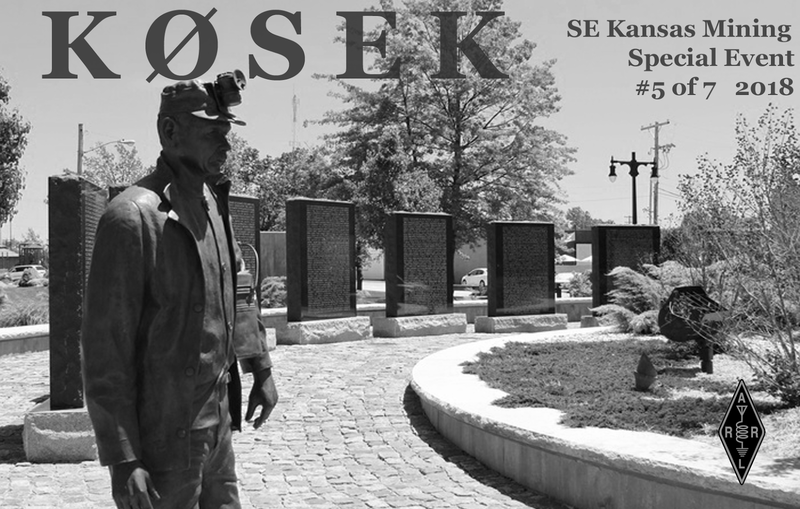 The black, oily coal buried under about 200 feet of sandstone was accessed through deep mining and suited for fueling steam locomotives. 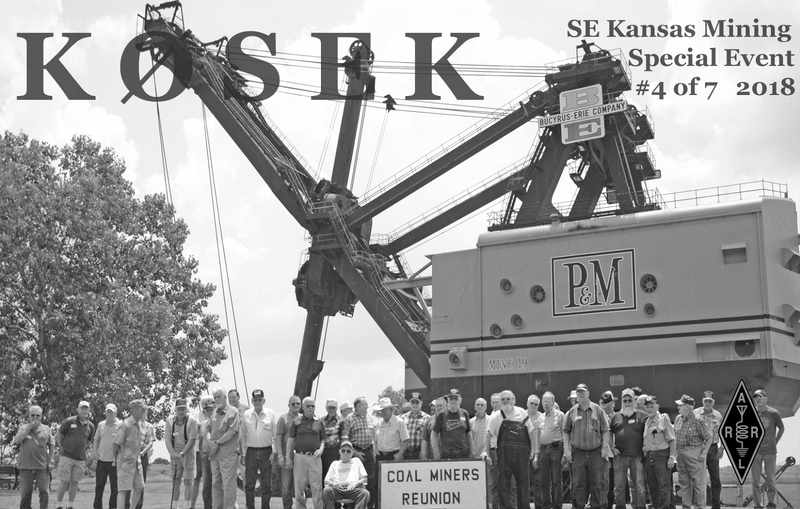 This workforce helped the area become the industrial center of the state. Coal companies created communities for the workers near mining locations. Some were temporary camps with dirt roads and shacks.